Gov. 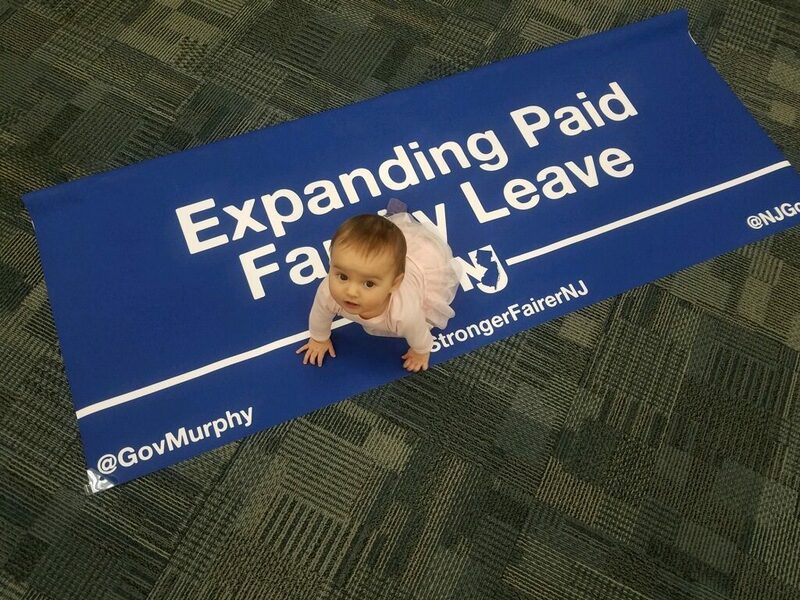 Phil Murphy signed legislation to expand paid family leave on Feb. 19, 2019. New Jersey’s paid family leave program got a serious upgrade thanks to a new law signed by Governor Murphy in February. That’s great news for workers as it will provide them with meaningful economic security while taking time off to help a sick loved one or care for a new child. It’s also good for New Jersey businesses as paid family leave improves worker morale and productivity. First implemented in 2009, New Jersey’s paid family leave law provided relief for 3.7 million workers in the state — or at least that’s how many people it was intended to help. From the start, the program fell short of its potential with far too many workers either being unaware of the benefit, deciding it was an unaffordable luxury, or discovering their care obligations fell outside the scope of the law. In fact, less than 7 percent of eligible workers filed leave claims between 2009 and 2016. The overwhelming majority of those who actually utilized the program did so to spend time and bond with a new child. Since 2009, four other states and the District of Columbia enacted their own family leave laws, but with better benefits. Those states offered more time off, had higher benefits, and as a result, had higher usage rates among workers seeking family leave. The good news? New Jersey incorporated the best practices from these programs in its paid family leave expansion. Here are some of the much-needed improvements that were made to the program. First, the weekly wage replacement will be increased to 85 percent of a worker’s average wage. Roughly, it means that the weekly pay during leave will increase from a low cap of $633 to $859, providing more low-paid workers the opportunity to actually use paid leave. The new law also expands paid time available from 6 weeks to 12 weeks, making New Jersey more competitive with other states that have passed a family leave insurance law. Job protection — an essential component of the program — was also expanded under the new law. Once the reforms go into effect, workers at firms with 30 to 50 employees will no longer have to fear losing their job for taking leave. This helps an estimated 200,000 workers across the state. More work is left to be done, however, to extend this protection to the remaining 800,000 workers at smaller businesses. The new law also takes the paid family leave program into the 21st century by expanding the definition of “family.” This necessary change expands the types of family members a worker can use the program for. The new definition reflects modern family dynamics and includes grandparents, grandkids, siblings, adult children, parents-in-law and chosen family. Despite some grumbling about the administrative requirements, New Jersey business owners have had a refreshingly positive response to the new law, finding paid family leave to be an affordable, sustainable way to both support their employees with family and medical obligations and remain competitive. Businesses owners have also discovered that paid leave significantly improves employee morale and retention, which, of course, help improve their bottom line. When businesses embrace the modern day reality that everyone needs — and deserves — time to care for their health and their families, paid family leave is not viewed as a burden, but as an essential ingredient for success. In fact, the program can have a positive impact on employers not only because they see the importance in helping workers juggle important family obligations, but because they have observed that when their workers take care of things at home and return to their job, they are focused and ready to work again. That’s a win-win for everyone. Sheila Reynertson is a senior policy analyst at New Jersey Policy Perspective, a progressive think tank.